We are excited to announce our first Women’s Leadership Retreat. Taking place on 23 - 27 May 2019, this programme will offer 16 women the chance to embark on a mythical journey. We believe that true leadership is something that all women can access, with the right tools. During this five-day wellness retreat, you will relax, explore, learn, discover, breathe, heal, recharge and reach a state of alignment with your past, present and future selves, and the world around you. You will experience the chance to engage your internal senses of connection, embarking on your individual path towards transformation. In a supportive context, in the company of a select group of others who share your desires for greater self-understanding and to progress in life, you will access the benefits of sacred plant medicines, with a cacao ceremony and two psilocybin ceremonies. Surrounding these experiences, you will be given specialized guidance, to help you begin mind-manifesting clear pathways towards your personal and emotional goals. I’m not currently in a supervising role, is the Synthesis Women’s Leadership retreat right for me? Anybody seeking a clearer pathway to peak empowerment will benefit from the bespoke programme designed for our Women’s Leadership retreat. This women’s retreat is designed to offer you the getaway that will help you connect, perhaps for the first time, with the ability to take the lead in your life. This is an innate capability which everyone has within themselves, and which the right tools can help you unlock. In all contexts, the ability to take leadership originates when you speak and act from a place of authenticity, driven by true self-knowing and understanding. We see leadership as an intimate decision and relationship that we are in with ourselves first, then with others: this is the Synthesis definition of leadership. During your time at Synthesis, we will help you to divine, identify, and work on the energetic, emotional and psychological blockages that may be holding you back, giving you a head start on the pathway towards your most fulfilled, authentic self. Could this be the invitation you didn’t know you needed, to leave your internal luggage behind and download a healthier personal story? If you are seeking an opportunity to reconnect with yourself, and reimagine your future, within a safe supportive environment, see ‘Is Synthesis right for you?’, or progress to our application form to begin your transformational journey. The first of its kind at Synthesis, our Women’s Leadership Retreat, a celebration of the divine feminine, is open to all people who identify as women, and will be led by women with a deep and practical knowledge of shamanism, healing, and empowerment practices. We will prepare you for, guide you through, and help you find frameworks to integrate your experiences with psilocybin, the active component of magic mushrooms and truffles, the psychedelic agent which we use at our retreats. The Women’s Leadership Retreat will be lead by core members of the Synthesis team: leadership coach and Director of Operations Rachel Aidan, and Lead Facilitator Natasja Pelgrom, with assistance from additional Synthesis staff, who are accomplished practitioners of specialized skills, including psychedelic ceremony orchestration and breathwork. Find out more about our expert facilitating team and the kinds of preparation and integration coaching we specialize in or drop us a question via our contact form; we will be delighted to hear from you. Our spiritually focussed programme is designed to help you leave behind the demands of the multiple roles you perform in your private and professional life, each of which can cause you to develop coping mechanisms which serve to distract you from your core being and true purpose. Prior to retreat, we will come together for a group call, to build a sense of connection and community. Each ceremony will be bookended by preparation and integration workshops to help you get ready for and process your experiences. Following the retreat, the community you have built during your time at Synthesis will extend into a private virtual circle, allowing the group to reflect, support one another, and collectively develop your integration of your ceremonial experiences and insights. This is the process of going inward, connecting to your inner resources and attuning to your inherent spiritual powers and internal wisdom. At Synthesis we will engage in a variety of meditation techniques over the five-day retreat. These practices will help you draw yourself into a state of self-empowerment, dispensing with the negative thought processes that prevent you from feeling feeling vibrantly connected to your identity and actions. Also known as vibrational medicine, sound healing harnesses the vibrations of the human voice as well as our gong, Tibetan singing bowls and other sound tools, creating a potent energy that allows us to go beyond relaxation and stimulate healing. The word mantra is derived from the sanskrit root words ‘man,’ meaning mind, and ‘tra,’ meaning tool; mantras are powerful tool for aligning the mind. 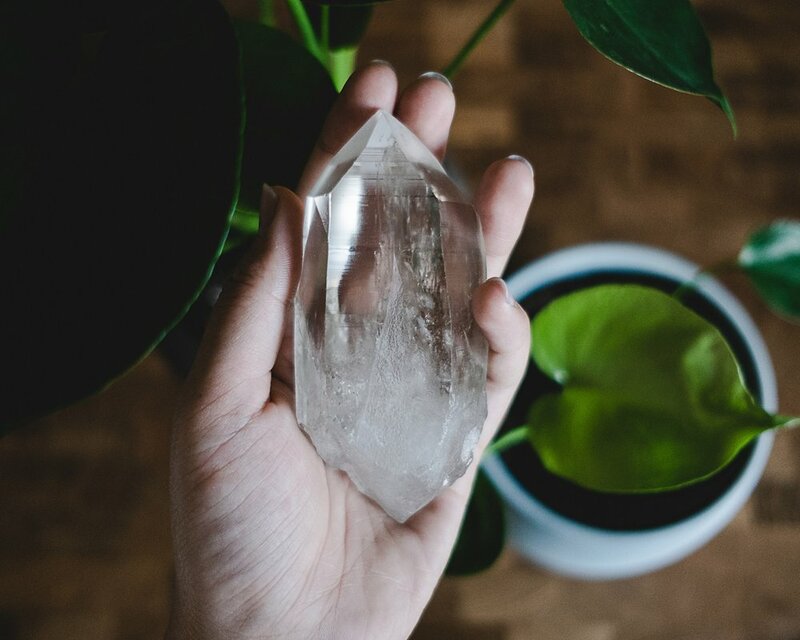 During the retreat, we will be using mantras from various lineages to help you alter the state of your vibrations and engender a sense of true balance within. This form of coaching is designed to help you address, connect with and reappraise your sense of self on a profound level. When we establish our personal stories, they can often develop into limiting beliefs that need recalibrating. These can be stitched deeply, over time, into our bodies, hearts and the somatic centres beyond our minds. Spiritual coaching can help you to unpick the stories that are no longer serving you, and to develop new ones, which allow you to act from a place of confidence and authenticity. Emotional Freedom Techniques (EFT) tapping therapy is a therapeutic technique that supports your emotional health. EFT can help you formulate less distressed emotional responses to previously triggering thoughts and ideas. Billed as the psychological equivalent of accupressure, EFT directs attention to specific energy meridians within your body, while you discuss the problem you wish to resolve. Allowing yourself to emote, while simultaneously tapping on particular energy points, sends a signal to your brain that it is safe to relax. This will help you to stop producing a stress response in relation to the problem(s) you are overcoming. ThetaHealing® is a powerful technique which utilises the transformative potential of the Theta brain wave, which is the dominant brain wave during calm states such as drifting off to sleep, deep meditation, or under hypnosis. In a Theta state, it is possible to effect instant positive changes to troubling elements of our subconscious. These may include addressing negative beliefs and traumas, reducing stress and anxiety, inducing deep relaxation and euphoria, improving mental clarity and creative thinking, and even targeting physical pain. The practice mostly draws its influences from Amazonian, Mesoamerican, and North American traditions. It is comprised of many modalities. Above all else, it is the marriage of traditional spiritual with psychotherapeutic practices, applied in a modern context. Why choose Synthesis for your psilocybin experience? The beautiful and supportive setting we offer not only speaks for itself, but is also scientifically endorsed. Recent research by the Psychedelic Research Group at Imperial College, London has demonstrated that the benefits of using psychedelic medicine in a structured, group, ceremonial context, such as we create at our retreats, are greater than the benefits of taking psychedelics in an informal, unstructured setting. Synthesis participants contributed data to this study, and we have been working with Imperial to measure the positive impact of our retreats since our pilot in April 2018. Furthermore, we pay close attention to the clinical conditions in which the team at Imperial conduct their research with psilocybin, so that we can offer equivalent transformational possibilities to our guests. Correspondingly, the findings of Imperial on data collected from Synthesis participants reflect the positive discoveries on the therapeutic potential psilocybin in clinical research, including data on improvements to mental wellbeing, the ability to have mystical experiences, lasting personality changes, and reduced depression and anxiety. The phenomenon that psilocybin can function as a psychotherapeutic agent that could treat depression has recently become of its most widely-reported medicinal properties. Increasing numbers of studies from psychedelic research teams at top academic institutions worldwide have been researching psilocybin, the active component of magic mushrooms, as a remedy for treatment-resistant depression. They have, collectively, built a strong evidence base for its efficacy that the Food and Drug Administration (FDA) has granted psilocybin-assisted therapy a Breakthrough Therapy designation. This means that, rather than blocking the progress of further investigations, the FDA are likely to greenlight its development into an available treatment option, should the clinical trials that are currently underway in Europe and North America prove successful. Synthesis gives participants who opt in to the study the same questionnaire which the team at Imperial uses to document the lasting reductions in depressive symptoms which psilocybin-assisted therapy can bring about in clinical studies. It is important to note that everybody is affected by depression, to some degree. Everybody who takes the test will get a depression score, regardless of whether they have (or would be given) a clinical diagnosis of depression or not. Possible results for this test range from the lowest scoring category of no depression, through to mild, moderate, severe, and finally, very severe depression. Unfortunately at this point in time, we can not accept anyone with a clinical diagnosis of depression, and, correspondingly, our participants’ baseline depression scores are usually low. Nevertheless, echoing the findings on the lasting positive effects of psilocybin from the Imperial team, the guests at Synthesis experienced a sustained reduction in depressive symptoms. At the two- and four-week follow-ups after their psilocybin ceremony, their scores remained significantly lowered, compared to their scores before attending the retreat. Synthesis does not claim to treat depression. The fact that, in our data, our participants exhibit enduringly reduced scores in follow-up questionnaires, is a potential testament to the positive impact on a person’s overall wellbeing that attending a psilocybin ceremony at Synthesis can have. However, these results should not be interpreted as a suggestion that attending a Synthesis retreat can serve as a treatment for depression. If you are keen to experience psychotherapy with psilocybin as a treatment for depression in a safe, legal setting, you can apply to take part in a clinical trial. All food options will be fresh, healthy, vegan, and tailored to your dietary requirements. Monday, 27 May 2019 | Integration II ‒ What’s Next? The price of a spot, inclusive of 21% VAT, is $4,000.